The Department for Transport has published road traffic casualty statistics covering the period from 2005 to 2016. 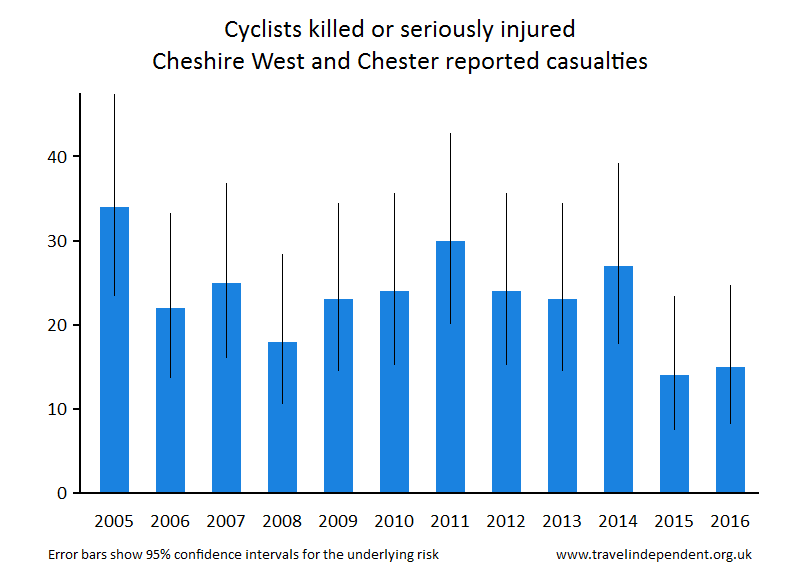 The good news is that no cyclist has been killed on local roads since 2013. 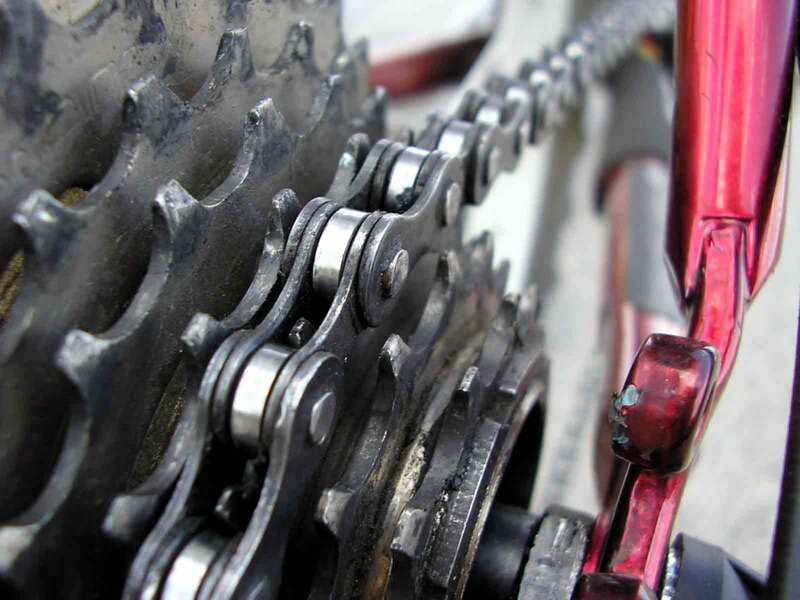 Numbers of cyclists seriously injured have also been declining over the past few years. However, numbers are still unacceptably high, given the very low percentage of local journeys which are undertaken on a bike. The table below shows the trend over the past six years for local KSI statistics. 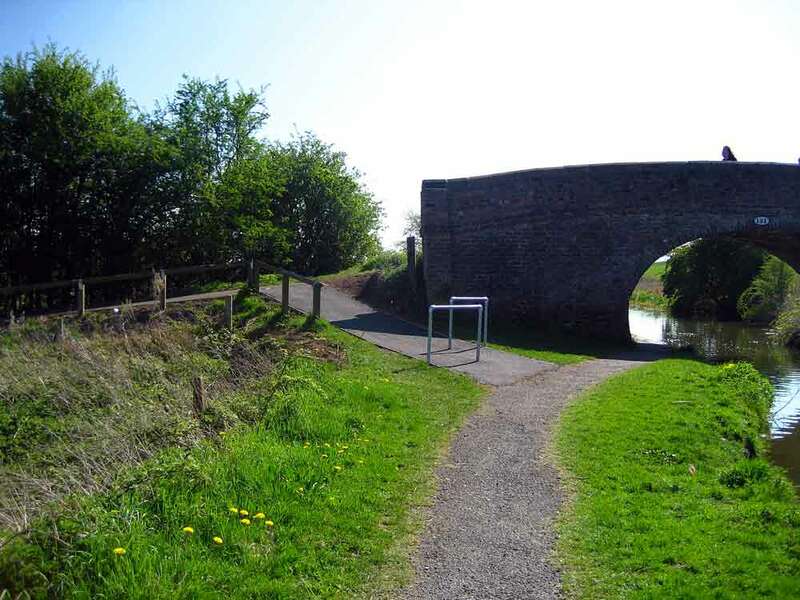 Nevertheless, cycling as a mode of transport is still relatively safe when the number of miles covered is taken into account. In 2016, 35 pedestrians were killed in the UK, compared with 30 cyclists per billion miles travelled. Cycling is essentially a safe activity, causing little risk either to cyclists themselves or to other road users. Moreover, there is good evidence that cyclists gain from ‘safety in numbers’, with cycling becoming safer as cycle use increases. However, fear of road traffic is a major deterrent, despite the health, environmental and other benefits of cycling. 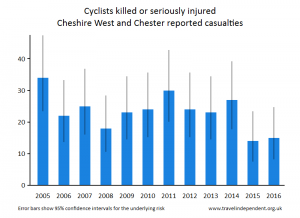 A full set of road casualty statistics for Cheshire West and Chester is available on the Travel Independent website, a website set up to provide independent analysis and comment as a basis for the development of fair, evidence-based UK transport policies.